China’s white tea is comprised of two different types of manufacture: bud-only pluck tea and tea that is a combination of leaf mixed with buds. 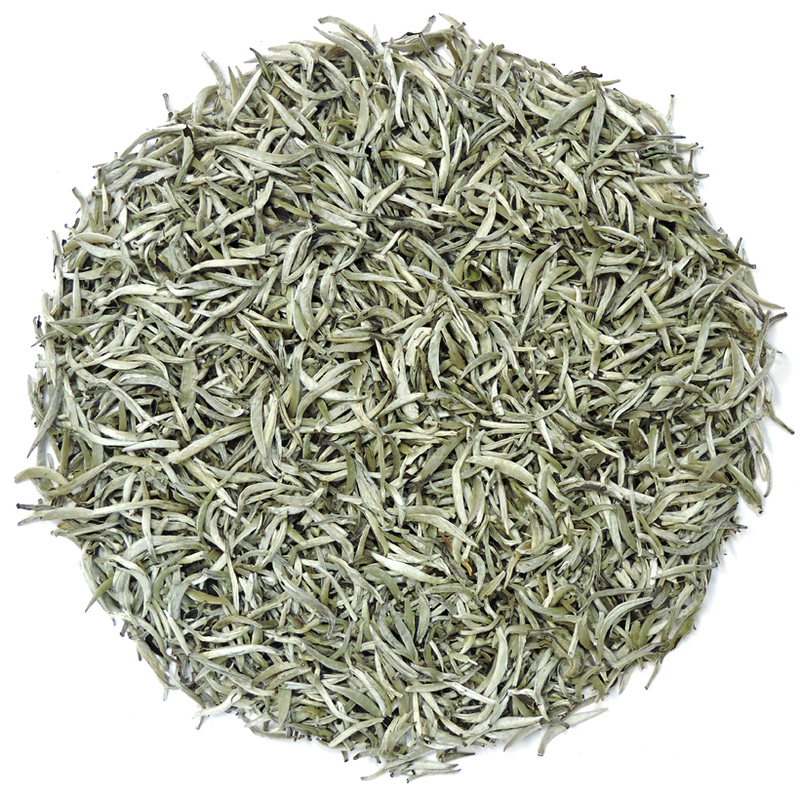 The most traditional white tea – Yin Zhen – features long, cool, dreamy whitish-grey plump buds that are referred to as ‘silver needles’. If you look carefully you will see that these buds are coated with very fine white hairs, which is a characteristic of the appearance of Yin Zhen and one of the unique features of the few tea bush varieties that produce authentic white tea. 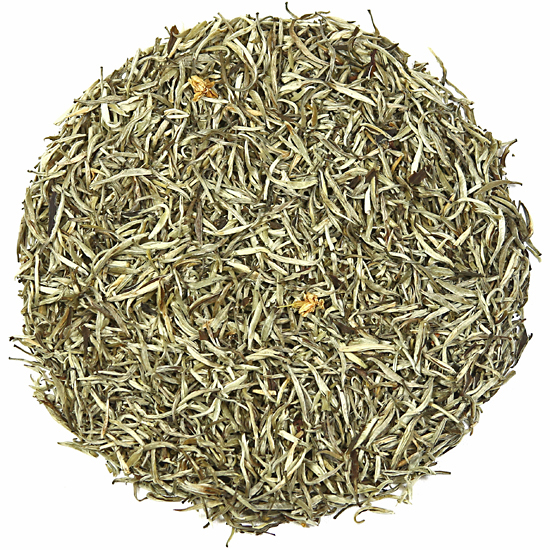 Modern style white tea is very light and voluminous, and is recognizable by its mottled mix of greenish-brown colored leaf and silvery buds in varying proportions. This picture of traditional Yin Zhen next to a modern-style leaf white tea was taken when we visited a white tea factory in Fujian, and the difference is quite apparent. 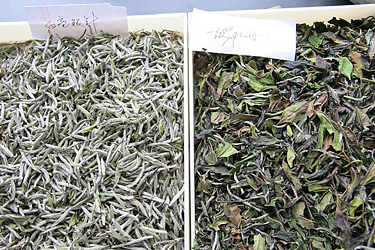 Several modern-style white teas are made in Fujian Province and in each case the ratio of leaf to silvery buds varies.